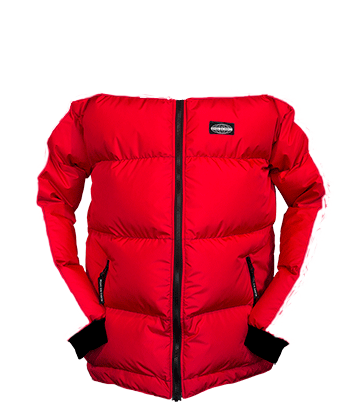 Design your own custom down jacket that will be hand manufactured right here in Christchurch, New Zealand. Wear on Earth is a New Zealand brand of puffer jackets that have two sections so you can choose your two favourite colours - the main central body, and the shoulder section that continues down the outer portion of the arms, and across the collar. Our light-weight, packable, goose down jackets are made with a water resistant outer fabric to help with your waterproof clothing needs during our winters' frequent storms. The water that may be absorbed by the jacket quickly dries when the rain stops. 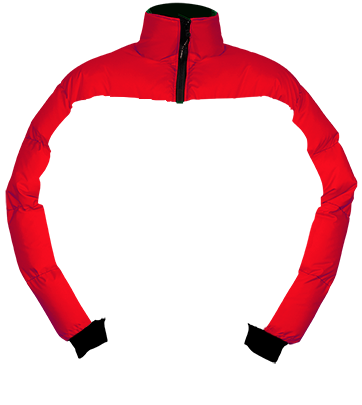 Your custom down jacket will be finished using the highest quality jacket manufacturing materials found in NZ: such as a Pertex inner fabric and YKK zips for a light-weight, long lasting custom jacket you'll wear for many years to come.